The Chelsea Fringe – One Month to Go! On 19th May, the seventh annual Chelsea Fringe will burst into life for nine days of colourful and eclectic events across London, the UK and wider world. Entirely independent but run with the Flower Show’s blessing, the Fringe was launched in 2012 as an inclusive and open festival of community horticulture and has flourished ever since as a celebration of the rich variety of vibrant ways in which people engage with gardening and plants. Now an established part of the horticultural calendar, the 2018 programme is brimming with eclectic and entertaining events including hands-on gardening sessions, art installations, walks, workshops, talks, food tastings, open days, film screenings, exhibitions and performances. Its open-access principle means that just about anything goes – as long as it’s interesting and legal, and on the subject of gardens, flowers, veg-growing or landscape – and hundreds of events are now confirmed. Food and drink feature prominently, with edible growing, vegetables, herbs and botanicals strongly in evidence. A herb-boat moored in Hackney will host an exploration of the history of bitters and botanicals and their use in cocktails; you are invited to ‘grow a pizza’ at Lauriston School; Chiswick House’s renowned kitchen garden is hosting open days; or you can learn the art of salad making at the Jetty in Greenwich. Art is always in evidence across the Fringe, as it is again in 2018. Visitors can follow join a Botanical Sculpture Trail of Walthamstow Wetlands; visit the first London solo show of botanical collages by American artist, Jane Hammond at Lyndsey Ingram Gallery; take part in a human-powered floral sundial at the Patmore Estate in Battersea; or try out cyanotyping and sun printing at King Henry’s Walk Garden. Trees get a special mention for 2018, with a host of events as part of the first Urban Tree Festival including an online map of London’s favourite trees as chosen by tree officers in each of London’s 33 Boroughs. As ever, many events defy categorisation, such as a theatrical performance exploring the Great Hedge of India at the South London Botanical Institute, a cycle-based ‘Tour de Plants’ run by the Geffrye Museum, and a series of installations and exhibitions in Sicily. 2018 also sees events taking place in Henley-on-Thames, Bracknell Forest, Exeter and Pentillie Castle in Cornwall. The 2018 Chelsea Fringe runs from Saturday 19th to Sunday 27th May. The full programme can be browsed online at www.chelseafringe.com. Individuals and organisations, first-timers and Fringe veterans, can still take part this year. Formal registration continues until the end of the Fringe, but potential event organisers are encouraged to make contact as soon as possible via email: info@chelseafringe.com. Get meals on wheels, just pop this picnic bag in with you wherever you travel and reminisce to the retro days! 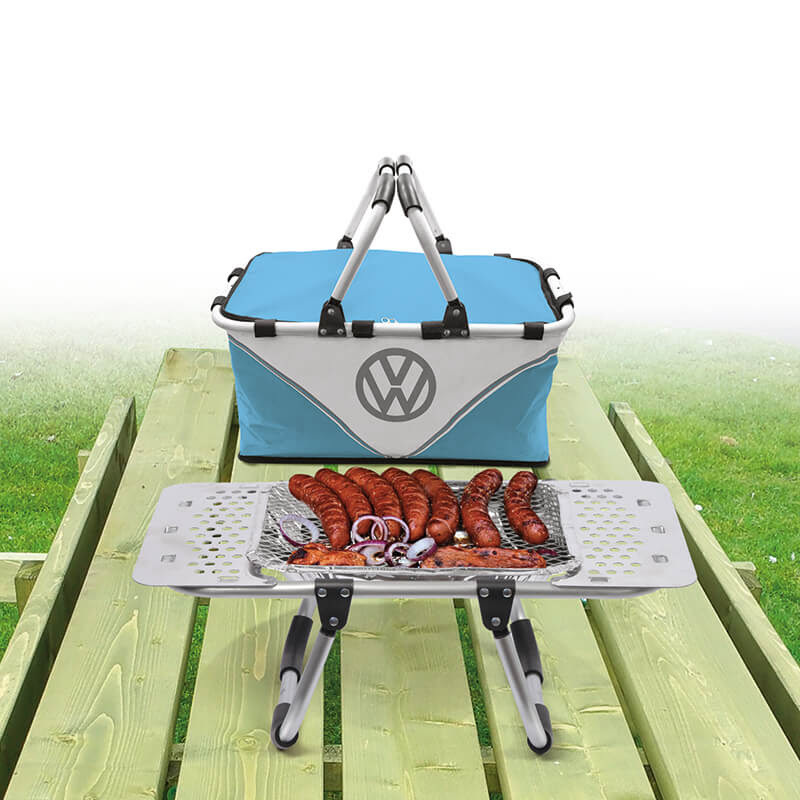 Introducing the VW BBQ Bag. This quirky camping cookery implement is ideal for last minute BBQs, the clever and compact design transforms the bag into a table which slots inside a disposable BBQ and can hold all your implements off the ground. Eat alfresco without the worry of insects in your food, grass garnishing’s and all those fire hazards that come with disposable BBQs, the ingenious handles turn into a stand for safe and simple cooking. Get this classic campervan inspired cooking gadget, the vintage VW is stylish and modern and is great to take with you whether you are in your camper, car or camping! Summer just got stylish, this easy outdoor essential can carry your food, with the cooler bag exterior,cook up some sizzling sausages for your dinner, and fold away safe and snug into itself for perfect portability. 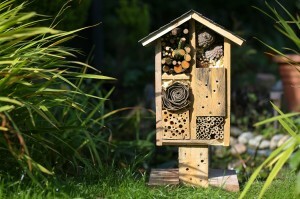 Ideal for outdoor dining, this quirky kit is available at Prezzybox.com for just £39.95 now! 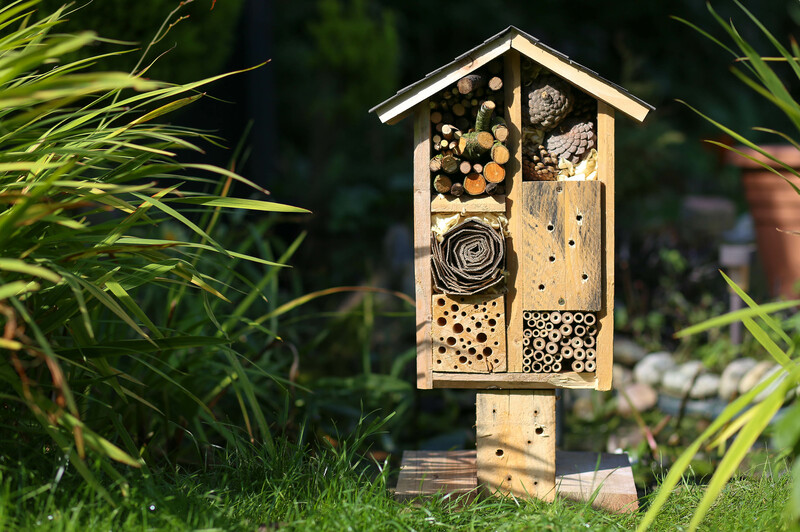 Winner of 2017 Gift of the Year in Garden and Outdoor livingThis is so cool! Everyone who sees it will be deeply envious and ask you where you got it from! So tell them it’s from Prezzybox! This BBQ stand means you’ll never scorch the grass again in the park! Brilliant! We’ve had mince pies recently but that left us with some mincemeat in the jar. It’s been sat in the fridge for a couple of days and I thought.. what can I do with this? 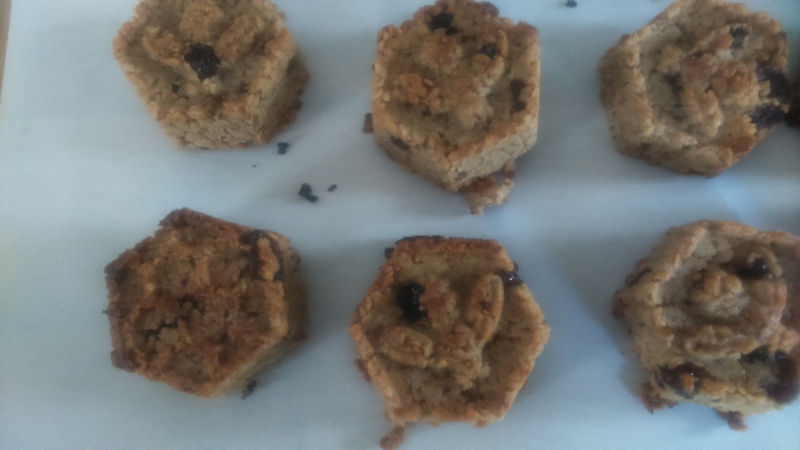 I googled a recipe for mincemeat flapjacks and voila! Here we go! It’s always fun measuring golden syrup! I did toy with the idea of using honey and adding nutmeg but I thought I’d check them out as they are to start with. Having tasted one they could certainly be ok if you added some extra cinnamon or nutmeg! Melt butter with syrup, add mincemeat and stir until all liquidy. Add oats. Stir. Press into lined tin – the silicon cake didn’t need lining but I did spray a little olive oil spray, not sure that was needed at all though. They popped out like a dream after about 22 minutes at 180’C. They will take slightly longer if they’re in a flat tin. The mould I used worked really well though! Cully & Sully and GIY (Grow It Yourself) have thrown down the gauntlet for UK businesses to sign up to the ‘al desko Food Growing Challenge’ with the top ‘budding’ growers walking away with a prize bag worth £4,000. 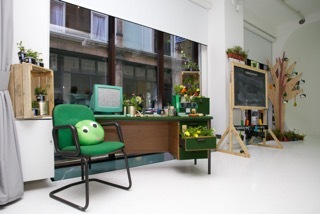 The initiative, dubbed #Give Peas A Chance, aims to get 1,000 teams of up to five people growing peas on their desk at work. Teams simply have to regsister on www.cullyandsully.com/ourgarden they will receive a Grow Pack which will contain a Cully & Sully soup tub for growing your peas in, seeds, soil and of course expert growing tips and training advice from GIY founder Michael Kelly. 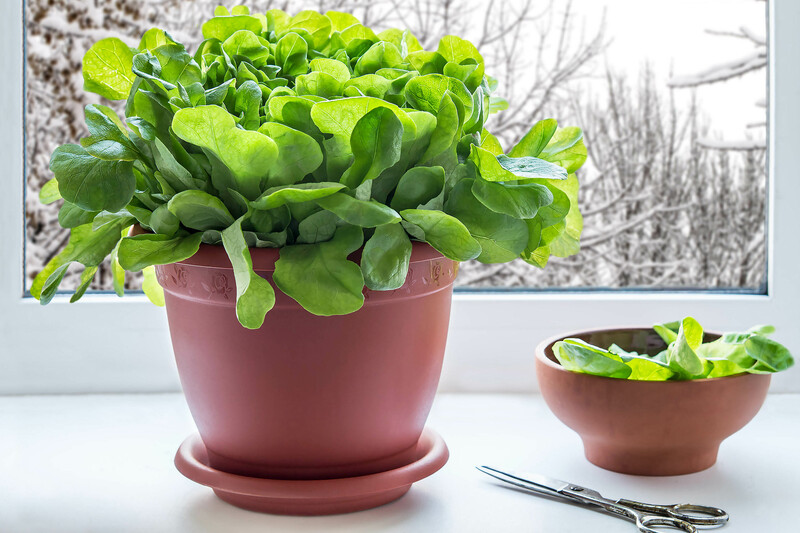 The #GivePeasAChance campaign brings the ‘green corporate’ concept to a new level, encouraging employees to sign up for some ‘office farming’ and add some greenery to their workplace. All teams who take part are encouraged to log their growing adventures on social media and our dedicated GrowWall. The winning team will get vouchers and flights to visit the world famous Ballymaloe House & Cookery School in Co. Cork (Ireland) worth £1,500 and best of all they also get to donate a community garden worth £2,500 to a cause of their choice, from a local hospice, school or care home, wherever the winning team decides. 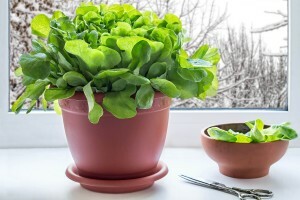 GIY (Grow It Yourself) is an emerging global food-growing movement which started in Ireland. The not-for-profit organisation was established to encourage people to grow some of their own food at home, school, work and the community to gain a deeper understanding of food, called ‘food empathy’ which acts a lever to a healthier lifestyle. Each year GIY inspires and supports over 150,000 people and 5,000 community food-growing groups and projects around Ireland and the UK with food-growing campaigns, events and publications. Cullen Allen and Colum O’Sullivan (Cully & Sully), childhood friends, grew up in Ireland’s foodie capital, Cork, inspired by Cully’s grandmother, a respected Irish chef and proprietor of the famous Ballymaloe.